An FDNY firefighter who helped hundreds of people escape Lower Manhattan when he was a ferry boat captain on Sept. 11, 2001 died of a related illness, officials said. An FDNY firefighter who helped hundreds of people escape Lower Manhattan when he was a ferry boat captain on Sept. 11, 2001, died of a related illness, officials said. 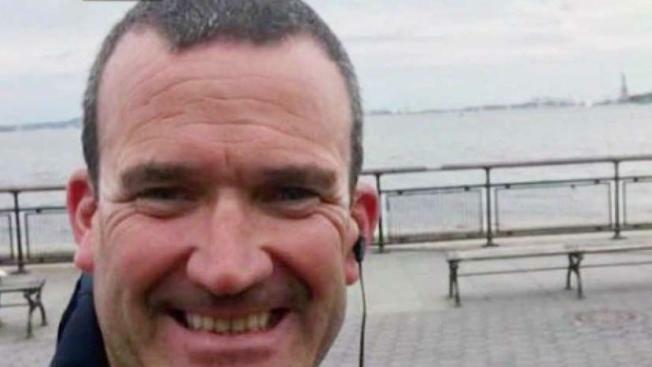 Marine Pilot Thomas Phelan of FDNY Marine Company 9 died Friday, according to officials. Phelan joined the FDNY in 2003, less than two years after he evacuated scores of people during the terrorist attack on the World Trade Center. Phelan was working as a Statue of Liberty ferry captain during the attack and used his boat to help people escape to the other side of the Hudson River, according to New York State Sen. Martin Golden. “Thomas will always be remembered as a true New York City hero,” Golden said in a Facebook post. On Twitter, Mayor Bill de Blasio wrote: "In our city’s darkest hour, @FDNY firefighter Thomas Phelan’s heroism saved hundreds of lives. We will never forget his service and his sacrifice." The 45-year-old died of cancer believed to be related to his exposure to poisonous fumes at Ground Zero, the Daily News reported. Nearly 3,000 people died in the 9/11 attacks. More than 6,000 others were wounded. 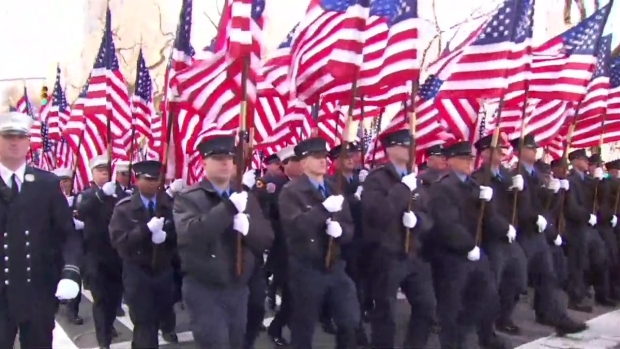 The FDNY's 343 Honor Company holds one flag for every firefighter killed on Sept. 11, 2001. A moment of silence is held at every St. Patrick's Day Parade to honor those who died on 9/11.